A Killeen Fire Marshal is calling Stix Pool Hall a total loss following Thursday's early morning fire. 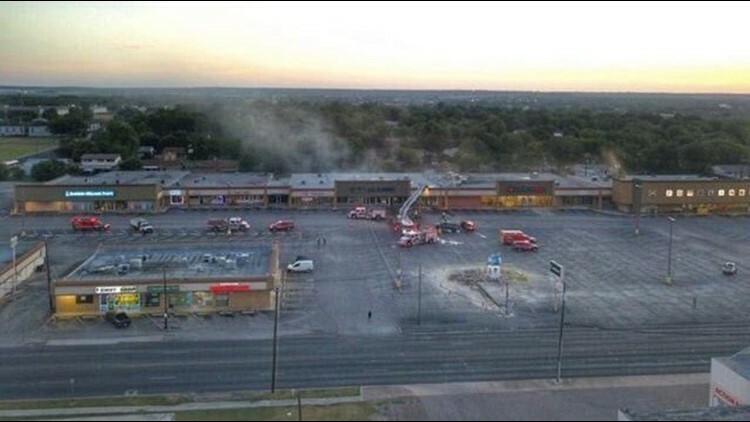 killeen — A Killeen Fire Marshal said a pool hall that caught fire early Thursday morning was intentionally set. Fire crews were called around 5:40 a.m. to the 3300 block of East Rancier Avenue after smoke was spotted coming from the building. A Killeen Fire captain is calling Stix Pool Hall a total loss following Thursday's early morning fire. It took crews 45 minutes to put the flames out. No one was inside at the time. Investigators said the fire started at the pool hall's bar near the doors. Stix Pool Hall’s building had significant damage and the front windows were broken out. KFD is looking at all surveillance in the area. The business said it has surveillance but don't know if it was destroyed during the fire. The Killeen Fire Department is asking anyone with any information on who set the fire to contact the Fire Department or call Crime Stoppers at 254 526 8477.